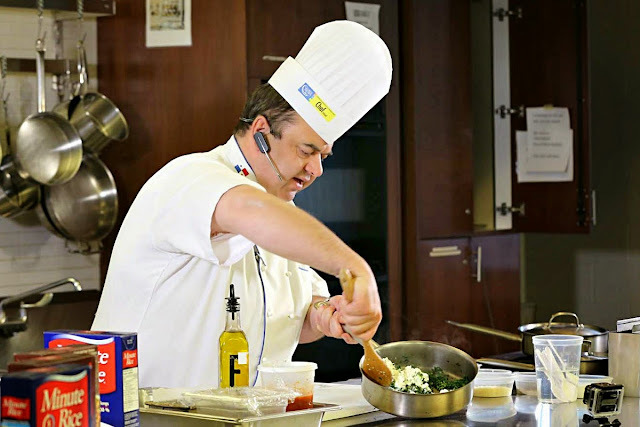 Recently I attended a cooking event at George Brown College hosted by Minute Rice®. Our session was hosted by Chef John Higgins, Director of George Brown Chef School. We had the opportunity to watch Chef Higgins prepare 2 dishes (Veggie Rice Lasagna Loaf and Pear and Cranberry Rice Pudding with Chocolate Crunchies). We also had a chance to go in the kitchen and prepare the Rice Pudding. It was a great experience on learning some tips for cooking rice and cooking in the George Brown Chef School is always lots of fun! 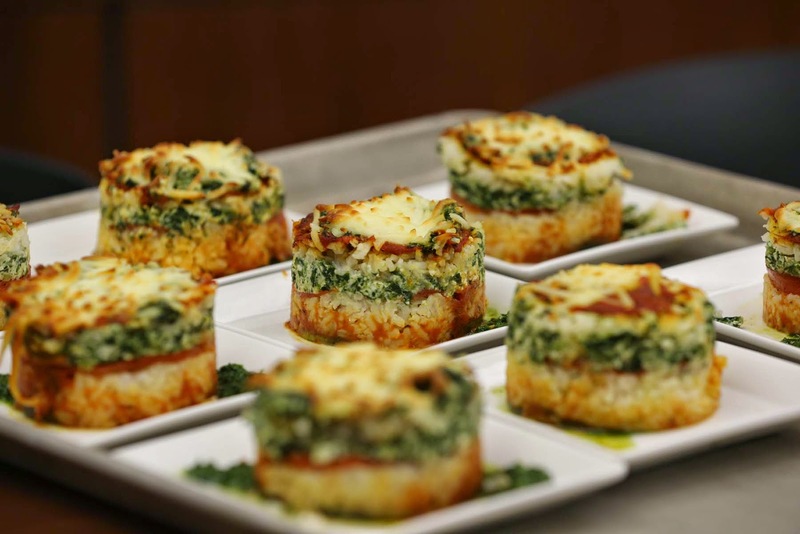 During the demonstration, Chef John Higgins prepared a delicious Veggie Rice Lasagna Loaf. We got to taste some at the end of the session and it was delicious. I really wanted to see what my boys would think of it so I brought mine home and had them try it. They both loved it! It's a dish you can assemble ahead of time and bake later on. Minute Rice® 100% Natural Instant Rice is available in Premium Long Grain White Rice and Premium Whole Grain Brown Rice. 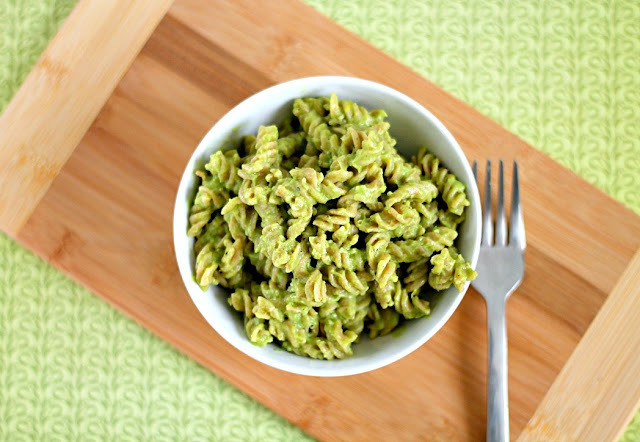 They are both very quick to cook making them perfect for busy weeknights. This was my first time working with Minute Rice®. We usually eat basmati rice which takes about 20 minutes to cook. With Minute Rice®, you boil the water, add the rice and cover, turn off the heat and in 5 minutes (10 minutes if you are using brown rice) you have wonderful cooked rice! Great for times when you realize last minute you need some rice. In the Chef School, we prepared the Pear and Cranberry Rice Pudding. I loved the orange flavour in the rice pudding. The pudding thickens up as it sits so Chef Higgins suggested to use more milk than in the recipe below. My husband and I preferred not to top with the Chocolate Crunchies as we found it took away from the fresh flavour of the Pear and Cranberry Rice Pudding. But it is definitely something I would make again. 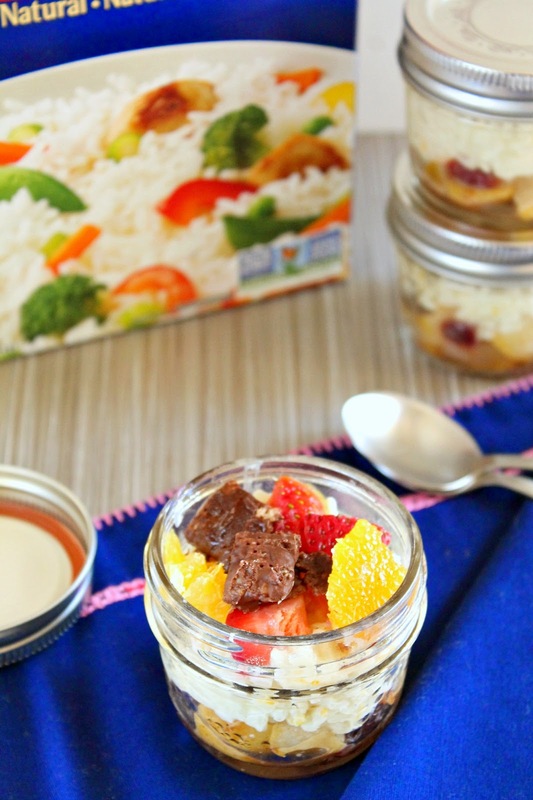 Besides the two recipes I am sharing with you today, there are so many ways to change up rice. The following are some great tips Chef Higgins shared for cooking rice. 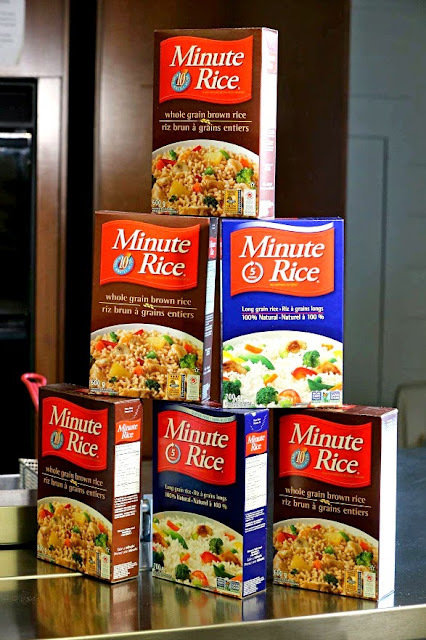 To get started on the recipes below, you can get a coupon for a box of Minute Rice HERE. 1. 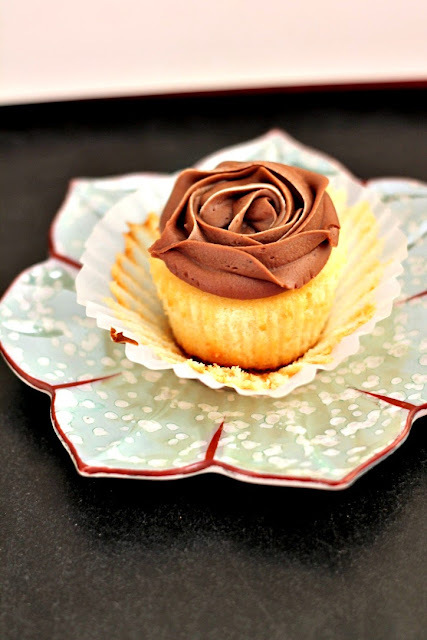 Melt chocolate in the microwave, using a ceramic or glass bowl, for 20 seconds. Mix in the Rice Chex cereal and stir to coat with chocolate. Transfer to a tray lined with wax paper, separating pieces to dry and cool down. (Place in refrigerator or freezer to cool quickly). 2. Dice pear into even pieces. 3. In a hot non-stick pan, cook the butter and diced pear for 5 minutes. Add 1 tbsp of sugar, followed by cranberries. Set aside and allow to cool. 4. In a large saucepan, over medium-high heat, combine the coconut milk and rice, then add the 3 tbsp sugar and salt; bring to a boil. Add the orange zest, stirring constantly. Reduce the heat to medium-low. Cook, stirring often for 10 minutes. 5. In a bowl, beat the egg with the vanilla. Stir some of the hot rice mixture into the egg; then beat the warmed egg mixture back into the remaining rice mixture. Cook, stirring constantly for 1 minute. Remove from heat. 6. Place equal amounts of the pear mixture in the bottom of each serving dish, top with rice pudding, and then with mini marshmallows, chocolate-coated cereal, followed with the diced orange. Tip: For a more gourmet presentation, top with additional pear cut into strips and fresh sprigs of mint. 1. Preheat oven to 350°F (180°C). Prepare rice according to package directions. Stir in the parmesan cheese and reserve. 2. Place 15 ml of the olive oil in a warm pan, then add the chopped green onions, followed by the spinach, and season with garlic. Cook for one minute. Add salt and pepper, then allow to cool. Mix with ricotta cheese until combined. 3. Place the rest of the olive oil in a non-stick pan. Add the sliced zucchini. Cook for 10 seconds on each side. Season to taste. Remove from the pan and place on a paper towel to absorb the oil and allow to cool. 4. Spoon ¼ cup (60 ml) of the marinara sauce into a greased 8-inch (2L) square baking dish. Gently press half of the rice into the baking dish in an even layer; sprinkle with ½ cup (125 ml) mozzarella cheese. Spread half of the spinach mixture over the cheese. 5. Top with half of the tomato and zucchini slices, overlapping as needed. Spoon half of the remaining marinara sauce over the slices. Repeat the layers, ending with the sauce. 6. 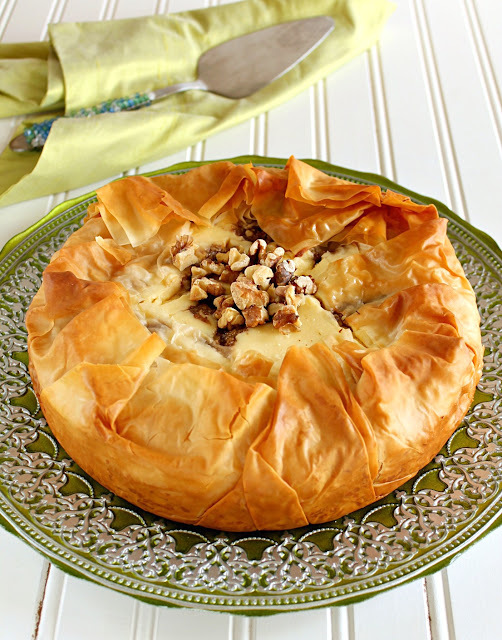 Sprinkle evenly with the remaining cheese and bake for 20 minutes or until bubbly and golden on top. Let stand for 5 minutes before slicing. Now for the giveaway! Minute Rice® is giving one Chocolate & Chillies reader a case of 12 boxes of Minute Rice® 100% Natural Instant Rice ($60 value). This giveaway is open to Canadian residents only. Scroll to the bottom of this post to enter the giveaway using the Rafflecopter. 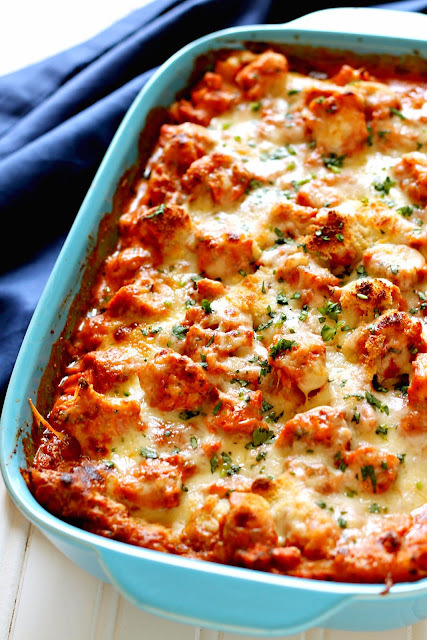 Veggie Rice Lasagna Loaf - I would love this with salmon! I love cabbage rolls as well as rice pudding. My favourite rice dish is chicken fried rice. I love a good stir fry!! Thanks! I like a chicken stir fry with rice and veggies. I love rice with black beans, corn, salsa, cheese and cilantro. I like fried rice with bacon and vegetables. Bailey Dexter Our family loves cabbage rolls, we have them all the time. Another is rice pudding! My favourite rice dish is risotto. Lazy Cabbage Roll Casserole is a favourite dish that I use Minute Rice in. My favorite dishes are sushi and fried rice. I love chicken fried rice for dinner followed by rice pudding for dessert. My cabbage rools ands stuffed peppers are loaded with rice and they rock! I love coconut curry chicken on a bed of rice. My fave rice dish is seafood paella. Cabbage rolls is my favorite rice dish. I like Vegetable or Chicken Fried Rice.